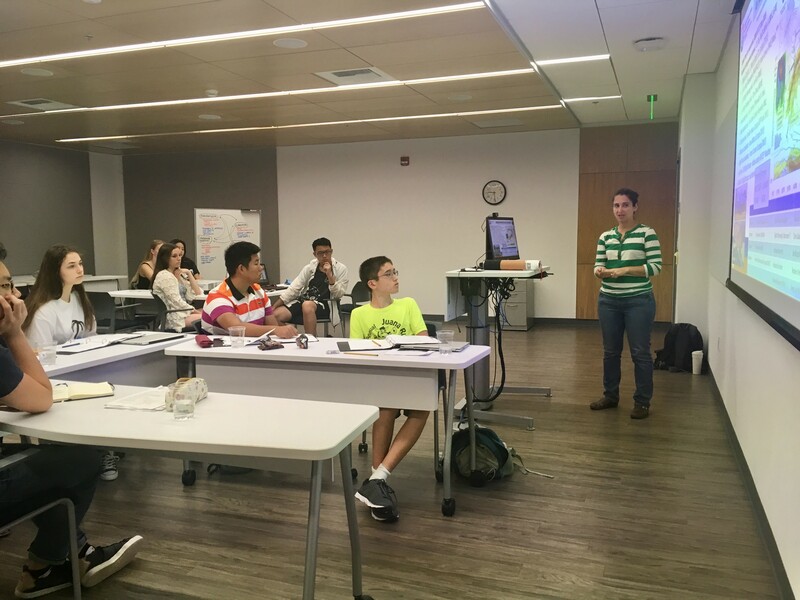 CW3E’s Anna Wilson recently gave a presentation introducing the center to high school students attending the U.S.-China Future Leaders Summer Program. This program, held at UCSD’s School of Global Policy and Strategy, was co-run by the School’s 21st Century China Center and the Global Leadership Institute, and led by award-winning high school teacher Kristen Druker. The program design is meant to foster problem-solving and decision-making skills, critical thinking about global policy issues and diplomacy and conflict resolution techniques. The students participate in game-based role-playing focused on global challenges that concern the U.S. and China, particularly on the topics of clean energy and climate change. Hearing about how CW3E is working to reach our goals (to revolutionize the physical understanding, observations, weather predictions, seasonal outlooks and climate projections of extreme events in Western North America, including atmospheric rivers, the North American summer monsoon and their impacts on floods, droughts, hydropower, ecosystems, and the economy) reinforced the lessons they are learning in the curriculum. The CW3E presentation focused on several core areas of the center: atmospheric rivers; Forecast Informed Reservoir Operations (FIRO), and climate science. Discussion with the students throughout the presentation dealt with many topics, including policy implications of scientific findings and climate change mitigation and adaptation strategies. CW3E is grateful to have had the opportunity to interact with the intelligent and enthusiastic students.